Unfortunately, a road trip usually means being stuck in a small vehicle (even a gigantic SUV seems small after hours on the road) for quite a bit of time, so it’s good to be prepared for any contingency…hunger, boredom, the aftermath of snacking, etc. 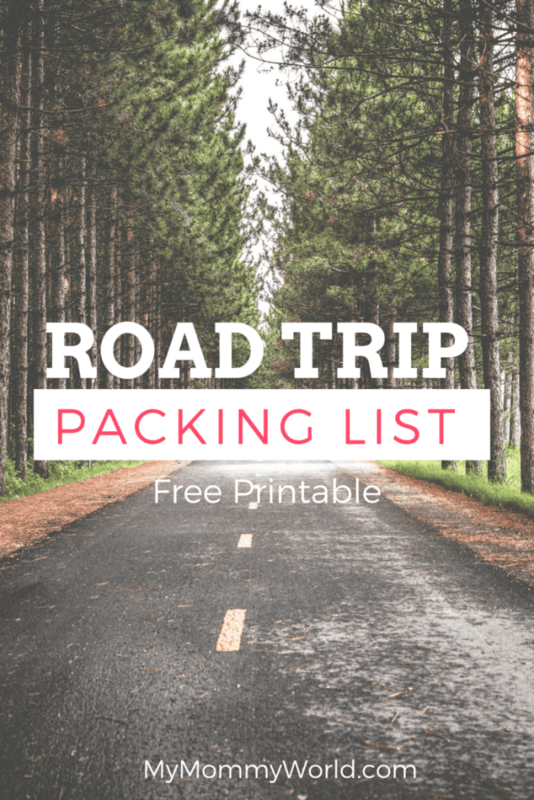 That’s why I’ve made up a handy-dandy road trip packing list that you can download for free! This road trip packing list will help you to remember to stash all the important stuff in your car before you make that 10 hour trip across 4 states. Because you know that eventually, you will end up in a 150-mile stretch at the precise moment that the kids decide they are hungry and there are no 7-Elevens around at which to grab a quick snack. When you follow this road trip packing list, you’ll have snacks, drinks and even a garbage bag at the ready. My husband and I once took our family on a 14-hour road trip from our home in Maryland to Disney World in Florida. It ended up being a lot better than we had expected, but it did give us a chance to figure out both the things that we were glad to have brought with us and the things that we wish we had brought. The result is this road trip packing list. We’re hoping to make another long road trip next summer to Missouri to see the Laura Ingalls Wilder home and museum (my daughter and I are big fans of her books), and the check out the Branson area. We’re also excited about the thought of stopping along the way to see places like Pittsburgh, Columbus, and St. Louis…it’s a whole area of the country we’ve never seen before. You can be sure we’ll use this road trip packing list and these long road trip tips to make our trip the best one yet! Where are you headed on your road trip? Thanks for the road trip packing list. We won’t be doing any traveling this summer but even for a day trip it’s nice to have a list to work off of so you don’t forget the essentials.